The Aberdeen and District Astronomical Society was started at the instigation of the present Secretary, Mr. W.D. Cooper, who organised a preliminary meeting of interested parties at his house in November 1969. It was then decided to attempt the formation of a society and a provisional committee was formed to organise the first meeting. Permission to base the Society in the School of Physics of Robert Gordon's Institute of Technology was sought and subsequently obtained from the Governors of Robert Gordon's Colleges to whom the Society is extremely grateful for their help and encouragement. The inaugural meeting of the A.D.A.S was held on 22nd January 1970 in the Physics Department of King's College, University of Aberdeen. An attendance of about 50 had been anticipated by the Committee. The actual attendance was over 120 and the audience had to move to a larger lecture theatre. At this first meeting the provisional constitution was adopted and the first members enrolled. During the last year, the Society membership has grown from zero to 87 Associate and 26 Full Members, a total of 113. The A.D.A.S. 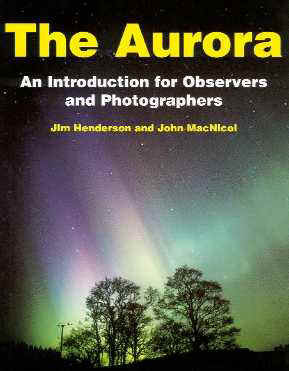 is therefore one of the largest astronomical societies in Scotland. The main activity of the Society has been to organise a number of monthly meetings for all members and guests. These have been lecture meetings and one film night, all of which have been well attended, the audience always numbering over 50 people. On each of these nights, the premises have remained open until midnight to enable members to use the viewing equipment. We are fortunate in being able to commence observing immediately because Dr. A.C. Jason, a member of the Committee, loaned to the Society a 4 inch refracting telescope. We are very grateful for his action which enables members to start viewing at the very first meeting. We are also grateful to another member of the Committee, Dr. A.M. Fleet, for bringing to the meetings a 6 inch reflecting telescope belonging to the University. Although the weather has prevented viewing on a number of occasions, most members have been able to look through these instruments sometime during the last year. An 8.5 inch reflecting telescope was ordered in November as part of the equipment of the School of Physics. This instrument will be available for use by Society members. To house this instrument and also the refractor, the the Governors of R.G.I.T. have given permission for a temporary observatory to be constructed on the roof of the School of Physics. This will be followed by a permanent building within the next two or three years. Seven special Groups have been started to cater for the interests of those members who wish to do more than just attend the monthly meetings. The Construction Group, members of which are making their own telescopes, has been very active over the past three months under the leadership of Mr. N.T. Nicoll, an experienced telescope maker. This group meets every Thursday evening and there are 14 members making their own mirrors. The Photographic Group activities have been limited by observing difficulties. However, some good photographs of the Transit of Mercury across the face of the Sun were taken and the 4 inch refractor has now been fitted with camera brackets. The Observing Group took part in the Transit of Mercury work and ar another time a few members were able to get a fleeting glimpse of Venus. Observations have been limited by the weather and also the lack of an observatory has meant that the telescopes cannot be left permanently set up. This latter problem will be alleviated soon when the temporary observatory is completed. Membership of these three Groups requires the payment of an extra fee to cover the cost of materials and equipment. Because of the limited facilities available last year, the Committee has decided that the extra fees pad by the Full Members for last year will be credited also for the coming year. The Aurorae Group has been continuously active making observations and reports. A few members of the Scoiety were very fortunate one Thursday evening to see the best display of Aurorae for number of years. The Meteor Group and the Astronautics Group have not yet become active, although there is considerable interest in these topics amongst the members. The History Group has a very small membership, but has been active and one members had an article published in the Press and Journal. The Society has elected to Honorary Membership, Professor R.V. Jones, our President, Mr. D.Gavine and Mr. Marcus Milne (former City Librarian). We are grateful to Professor Jones for agreeing to act as President of the Society and for giving his inaugural lecture in October 1970. A library of books and slides is being assembled and Dr. A.C. Jason has agreed to act as Librarian. These books and also Journals subscribed to by the Society, are available on loan to members on application to the Librarian. Members of the Society helped to equip and man a stand provided for the Society at the Leisure for Pleasure Exhibition held in the Music Hall last year. Members of the Committee attended a meeting of Scottish Astronomical Societies held in Edinburgh, when the possibility of joint activities was discussed. A series of six evening lectures on astronomy for school children was held during the Autumn Term and was well attended. The Society acknowledges with gratitude a grant of £50 from the Aberdeenshire Educational Trust. We are also grateful for the loan of books from the County Library. Books have also been donated by Mr. Grassie and lent by Mr. Lilburn and for these we thank them. Pluto: A Shrinking problem ! Since its discovery in 1930, Pluto has always been a weird object. Astronomers have estimated its mass many times and always get different results. Over the past few years its estimated mass has fallen again and again and if this trend continues, the planet will disappear before the turn of the century! The latest estimated mass puts the figure at 0.11 Earth masses. A group of rich Texans hope to finance further Moon missions, getting profit off moon rock sales and television, film and literary rights. The group 'Committee for the Future' hope the United States Government will give them their surplus Apollo machinery including Saturn Vs ! The Library now has a fair collection of books together with a number of volumes on loan from the Aberdeen County Library. In addition the Society subscribes to a number of journals. As members of the British Astronomical Society and the Junior Astronomical Society, it receives their journals also. We shall again have a stand at the Leisure for Pleasure Exhibition in the Music Hall on Saturday, 27th November form 10 a.m. to 5:30 p.m. Dr. Henry Ellington is preparing a taped commentary to be linked to a series of slides which will be shown on a daylight screen throughout the day. We hope to maintain our service to schools in the district and should be pleased to have the names of all members willing to give lectures in schools together with a note of the subjects offered. This information will be passed to Headmasters through the Directors of Education. Since the Chairman's Report was delivered at the AGM in January the Committee have appointed to Honorary Member Mr. R. Keith Fraser, whose artistic work has been seen on display at many of our meetings and who has also presented the Society with a "coat of arms" which he designed and painted for us. Later, following a recommendation approved at the A.G.M. Mr. David Tytler was co-opted to serve on the Committee as a representative of our many younger members. Several of the Committee attended a meeting of the Mills Observatory in Dundee as representatives of the Scottish Astronomical Societies. It is hoped to encourage more co-operation amongst the societies including exchanges of programmes, journals and speakers. All members of our own Society willing to give lectures to other societies should give me a note of their names and the subject upon which they are prepared to give lectures. February 24th Meteors - Dr. N.H. Langton, R.G.I.T. We also hope to have a lecture on Cosmic Rays from Dr. Barton of the Northern Polytechnic, London, in April or May, whilst he is visiting Aberdeen.